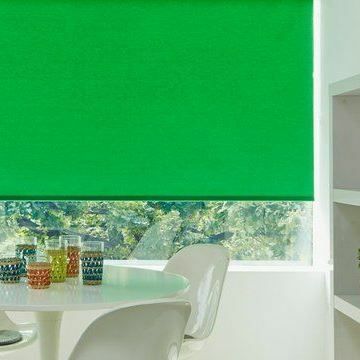 Thanks to their natural colour, green Roller blinds are easy to combine with a wide range of colours. Think about it – how does your garden grow? You’ll find flowerbeds full of reds, blues, yellows and more all looking totally comfortable alongside shades of green. Now browse our range for inspiration. See the mint, pesto and olive green Roller blinds. Take a look at the floral, botanical and geometric patterned fabrics and get an idea of how the designs will work with your interior. 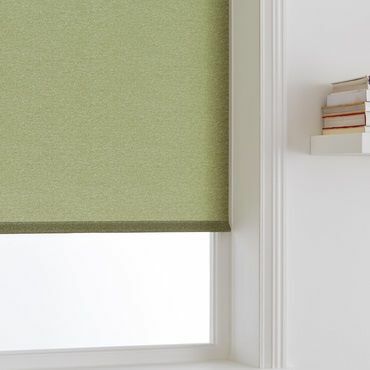 You’ll also find green Roller blinds made from specialist fabrics in our range. So your needs – and windows – are covered whether you want a water-repellent option for the kitchen or a blackout fabric for the bedroom. Browsing green Roller blinds online is a great way to get an idea of what’s available. But being 100% sure about what you choose requires seeing the designs in your home. And that’s exactly what Hillarys offers. Book an appointment with Hillarys and one of our advisors will come to you. So you can view Roller blinds in your own home. This gives you a chance to see how the different green Roller blinds will look in your interior. What’s more, your advisor will be on hand to provide practical advice and style tips. 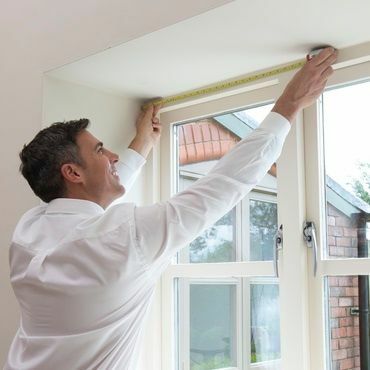 Your advisor will also measure your window and give you no-obligation quote to consider.